The new black Dri-Fit shirts are selling fast. Be sure to specify your size preference at check out as they run true to a regular t-shirt and are meant to be loose. Wear it around town and it will prompt people to say "Hey that's cool what's Surfers Unite Rotarian Fellowship all about?" Want to wear it as a jersey over your wetsuit? If so go down a size. Sizes available include Small, Medium, Large, XL and 2XL. The shirts are 100% polyester and ideal for walking, biking, jogging and of course surfing! The Hanes Dr-Fit shirts offer UV50 protection and dry quickly once wet. We have a different vendor for 2XL shirts but they offer the same quality. Ideal for use over a bathing suit or a wetsuit as a jersey. The material stretches but retains it's shape. 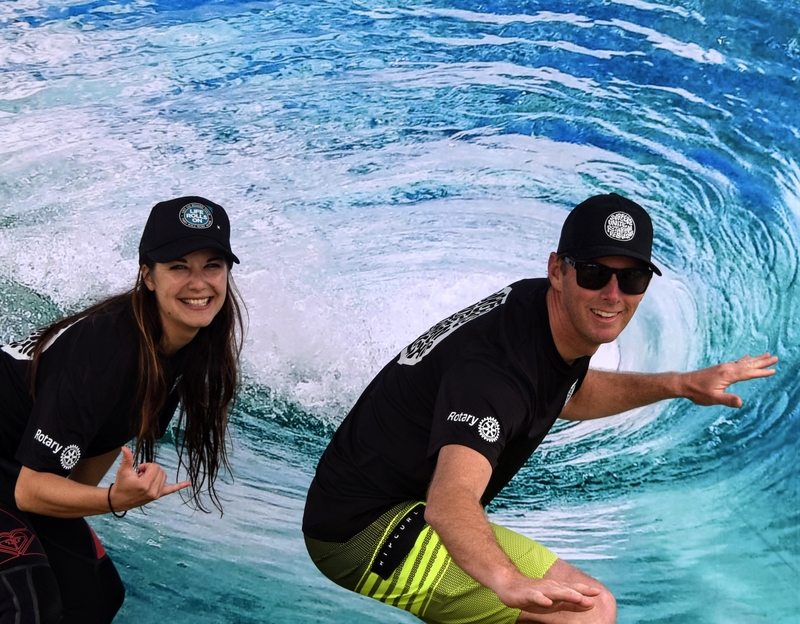 Note: The front of the shirts have a small left front Surfers Unite logo on the chest, Rotary International logo on the right sleeve and large Surfers Unite logo on the back. Free shipping on Domestic orders in the U.S. only. The charcoal color was phased out with new black shirts.